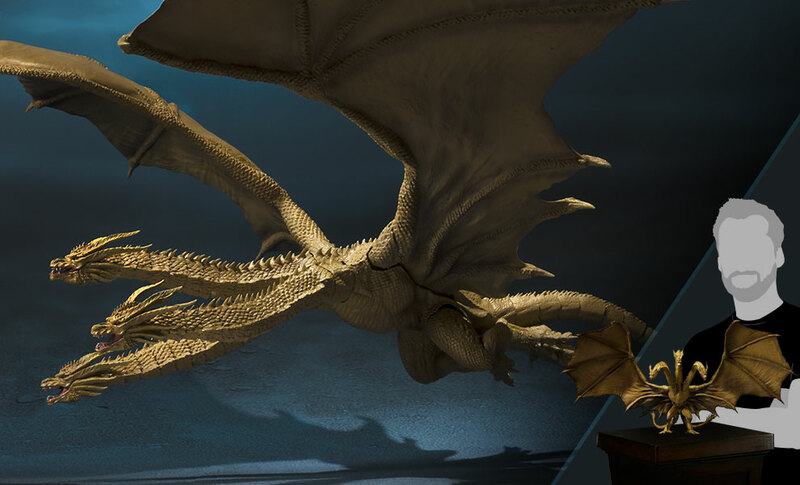 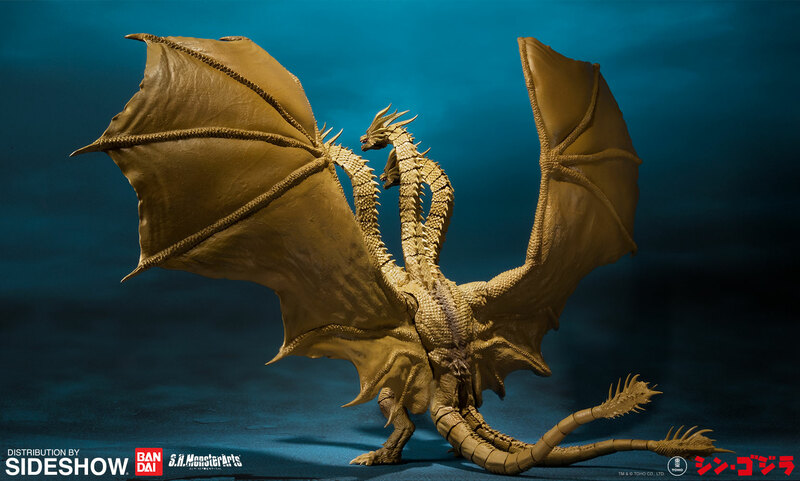 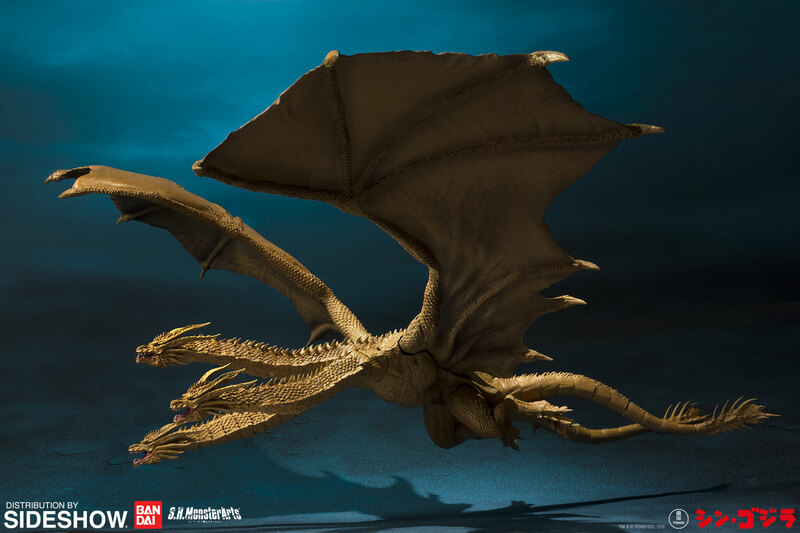 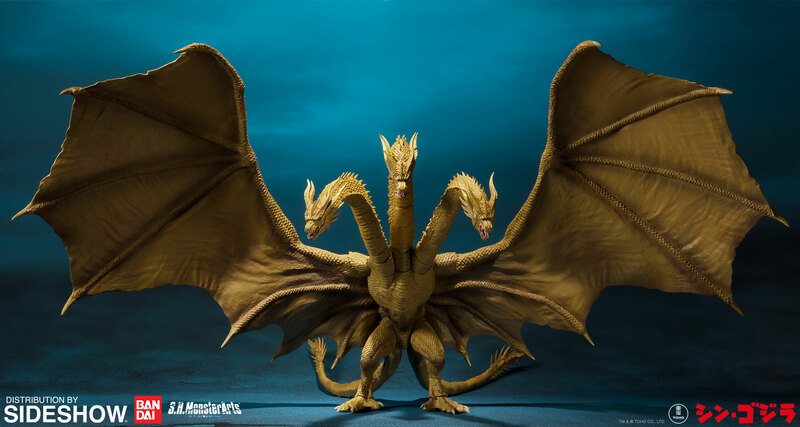 The fearsome King Ghidorah, as seen in the 2019 film GODZILLA: KING OF MONSTERS joins the S.H.MonsterArts series! 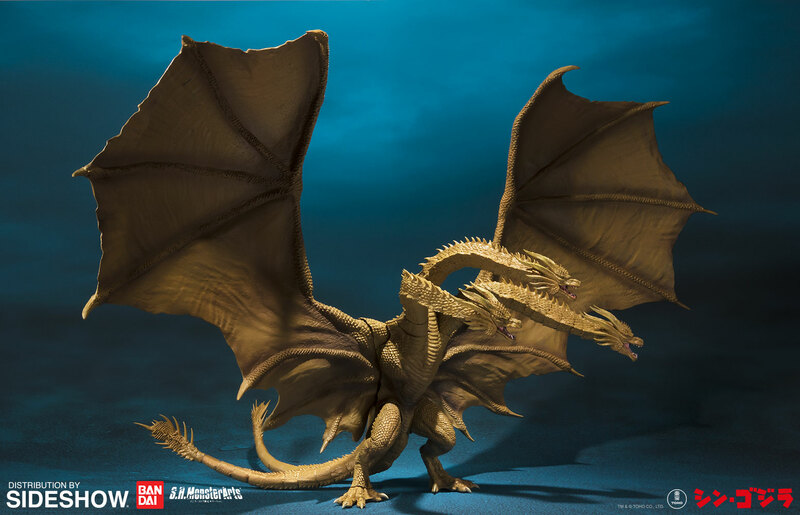 It's sculpted and finished with all of the care you've come to expect from Bandai, featuring effect parts that let you replicate dramatic scenes from the film. 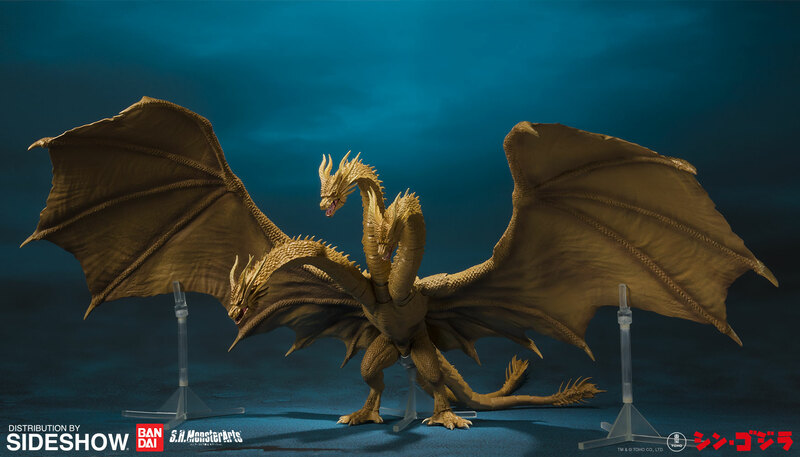 Based on the same 3D data used in the film, and overseen by the legendary sculptor Shinichi Wakasa, it features accurate proportions, details, and coloration.